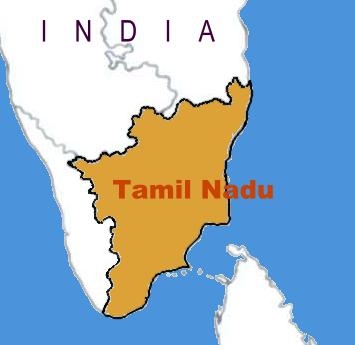 Tamil Nadu is an intriguing place to visit for both tourists and pilgrims. Located in southern India, the area is renowned for its rich heritage of Dravidian culture depicted mainly in its tall fashioned temples and holy shrines. It is also popular for its hill stations and beaches. Tourist places in Tamil Nadu are safe and hassle-free places to visit, especially for women travelling alone. The city of Mahabalipuram is famed for having a vibrant history and culture. For this reason it has been classified as a World Heritage Site by UNESCO. Once a thriving sea port in the 7th century AD, the city is most popular now for its monuments which are all carved from granite rock using Dravidian techniques. Due to its small size, the city can be traversed by biking or on foot. You can get a handle on the rich history behind the town and its temples and carvings by hiring a knowledgeable tour guide. Kanyakumari is the southernmost tip of India which offers a unique vantage point from which you can observe both the sunrise and the sunset. It has an interesting location, at the point where the Arabian Sea, Indian Ocean and the Bay of Bengal meet. The town is popular for its monuments, beautiful beaches, cultural centers, temples, a distinctive culture and hospitality. The religious and cultural buildings were constructed in true Dravidian architecture which is a treat for art and history enthusiasts. You should also explore the cuisine of Kanyakumari which is composed of tasty yet healthy Indian dishes such as Idli, Dosa and Sambhar. The town of Vellore is also known as Fort City and can be found on the banks of the river Palar in the North east of Tamil Nadu. The fort from which it gets its name was built in the 16th century using granite. The complex houses several religious buildings which include a Christian church, a Hindu Temple and a Mosque. The fort is historically significant for having been the home of the family of Tipu Sultan during the time of the British. All the buildings are intricately carved and constructed using Dravidian architecture. Among the attractions are a hill station and several shopping hotspots. One of the best tourist places in Tamil Nadu is Ooty. Ooty is one of the most popular hill stations in India. It has an average elevation of 2,240 meters and lies in the middle of the Nilgiris Mountains. It brings one in mind of Switzerland. The area’s main attractions include hiking, climbing and picnicking in the eucalyptus forests, lakes, mountains, valleys and gardens. Visitors may be able to catch a glimpse of the rare kurunji flower. Despite being in a tropical location, the climate in the area is generally mild, although the nights are surprisingly chilly. Tirunelveli is one of the many ancient cities in Tamil Nadu and is the second most visited places in the region. The river Tamirabarani runs through the city which adds to its livelihood. Its temples are the most outstanding features which help to make it a religious center. They were constructed during the medieval period ad feature ornate carvings and architecture. Tirunelveli is rich in natural resources which are related to its rivers, forests, mountain ranges and sea coasts. There are many popular and as yet undiscovered wonders in the city which make it a great place to visit. Mammallapuram Beach is popularly called the best beach on the Indian east coast. It is located south of Chennai and is popular with tourists as well as locals. Many backpackers come here to enjoy the sand and the sea. It is also a favorite spot for tourists staying at the nearby resorts. Handcrafts done in stone are popular in the area and visitors have many options to purchase these items from shops and stalls along the beach. Tiruvannamalai is a holy mountain which is believed to possess special spiritual energy. It has been said to be the most silent place in the world because of its ability to put the mind at ease and bring tranquility. Hindus believe it to be a representation of Lord Shiva. The mountain is popular with those who are in search of spiritual enlightenment and pilgrims. More visitors flock to Tiruvannamalai during the full moon as well as in November when the Karthigai Deepam festival is held. Kanchipuram is popularly regarded as being a part of the Tamil Nadu Golden Triangle. It is often referred to as the “City of a Thousand Temples” for the many such structures which it once boasted since it had the honor of being the capital of the Pallava Dynasty. Now only 100 temples remain which are still remarkable for their architectural style and religious diversity. You will find temples dedicated to Shiva and Vishnu, created and refined by various rulers. The region is also famous for the production of beautiful silk saris which can be bought from several artisans as souvenirs. Rameshwaram is a peaceful and silent town which is most notable for its spiritual significance. It receives many visits from pilgrims who come here to experience cleansing pujas, visit the Ramanathaswamy Temple or to bathe in its holy waters. Getting to the town is quite an experience within itself in either of two options; by train or other vehicles. These must travel along two long bridges which connect to the mainland. Visitors may also want to venture to the deserted remains of Dhanuskodi which is a close neighboring town. This remote area was destroyed in 1964 by cyclone. Pondicherry: A town on the coast which emanates of French culture and leisurely atmosphere. It is a popular attraction for those in search of spiritual enlightenment. Tanjore: Well renowned for its historical architecture, many visitors to Tanjore enjoy the Big Temple and the painted ceiling of the Royal Palace. Chennai: The capital city of Tamil Nadu, Chennai is the hub of economic, cultural, social, industrial and commercial activities. Madurai: Madurai, notable for being one of the oldest inhabited places on earth, is rich in agricultural abundance and holy temples. Coimbatore: Second largest city in Tamil Nadu, Coimbatore boasts fine weather, good water and is the place to go shopping for exquisite Indian cuisine. Kodaikanal: A beautiful hill station which is famed for the exquisite beauty of its flora, fauna, rivers, waterfalls, lakes and parks. Server responsed at: 04/24/2019 4 p.m.